It’s March and that means a not only a new month but a new literary theme to investigate here at backyard sisters. Imagery is our term of exploration this month. 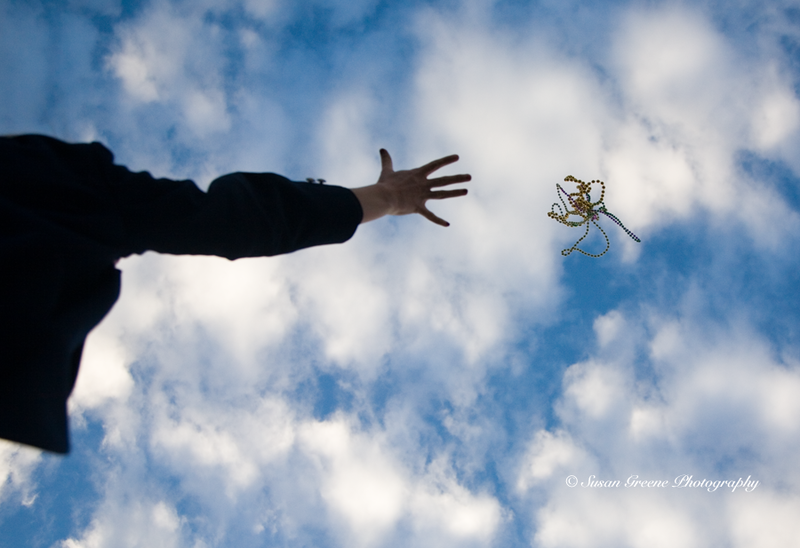 Photography is imagery – thank-you Catherine. 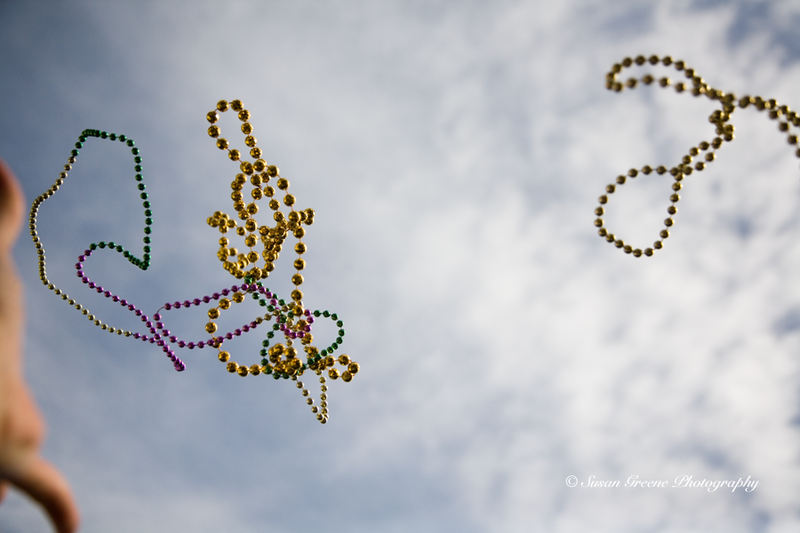 Since today is Mardis Gras, I decided to make some images of items associated with this day’s merrymaking. 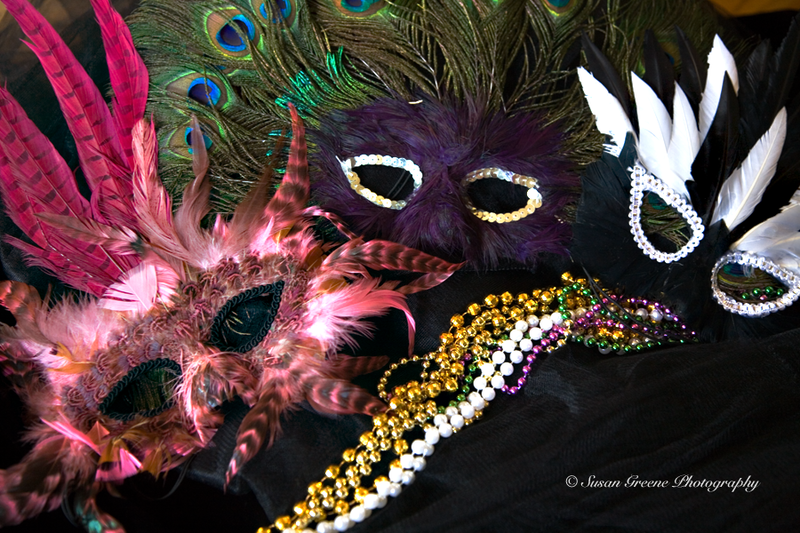 Mardis Gras means fat Tuesday in French and is traditionally the day before Ash Wednesday. Many use it as a day to “live it up” before the somber season of Lent. 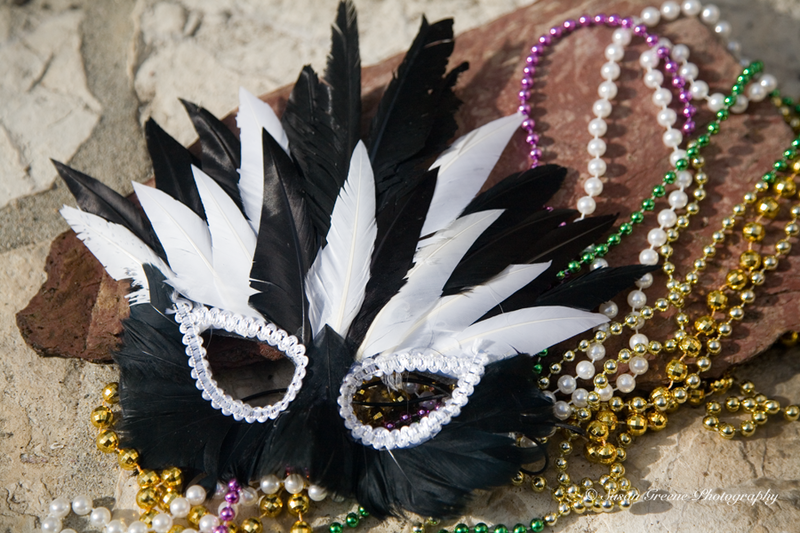 The city of New Orleans, Louisiana is known for its Mardis Gras festivities – parades, parties and balls are all celebrated and have been since the early 1700’s. Masks are worn by many to all of these celebrations. The wearing of masks as a part of the celebration is believed to be rooted in ritual. In the beginning they allowed the wearers from all classes to mingle and join in the revelry free of societal constraints. This anonymity undoubtedly is a contributing factor in the raucous behavior so often associated with Mardi Gras. 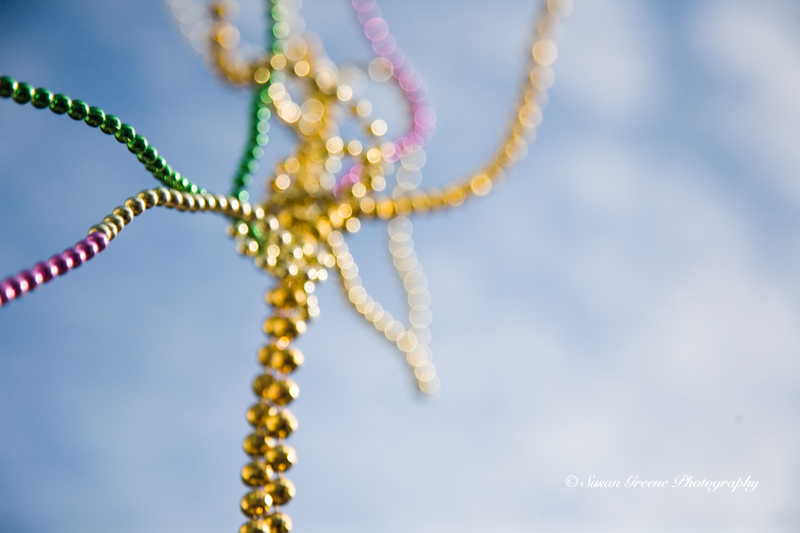 Strings of colorful beads are also identified with the festivities. They are tossed from the floats to the cheering crowds lining the parade routes. The spectators jostling to catch as many as possible. 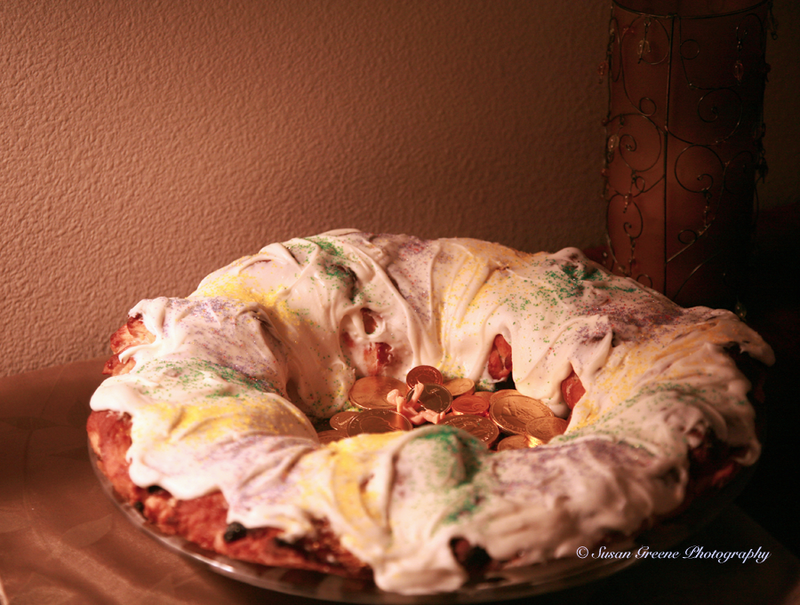 The king cake is another of the Mardi Gras traditions. Traditionally, it is a ring of braided dough filled with a cinnamon and sugar filling, although now other fillings are used as well. A tiny plastic baby is baked into the cake. 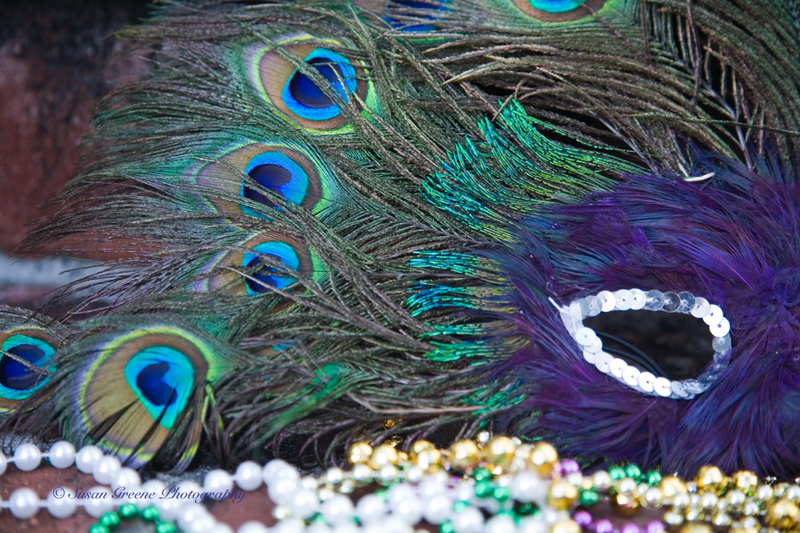 It is frosted and covered with colorful sugars of the Mardi Gras colors – green, purple and gold. Tradition has it that the person who receives the piece of cake with the baby in it is asked to host the next king cake party – which are held regularly throughout the Mardi Gras season or Carnival, which runs from January 6th,or Epiphany, to the Tuesday before Ash Wednesday. Having never been to New Orleans to celebrate Mardi Gras, I can’t speak of these things from experience but would like to one day. I won’t let that stop me from joining in spirit. 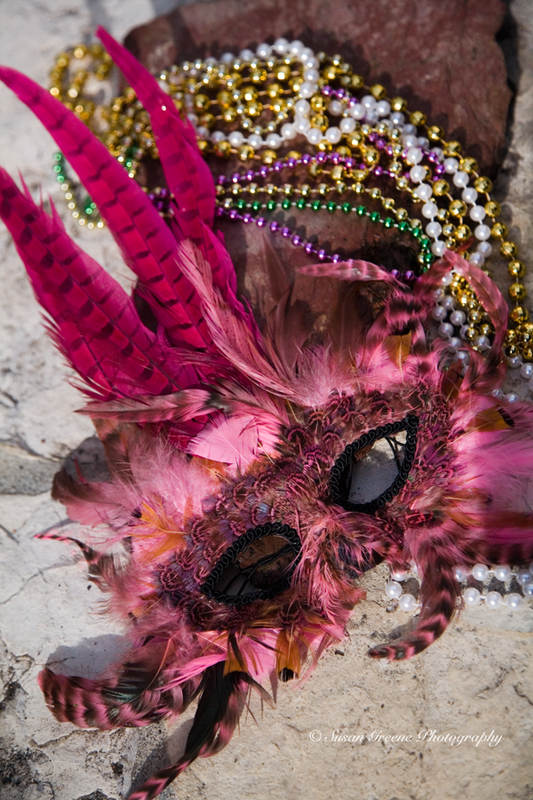 If you would like to read further about Mardi Gras and its history, traditions and activities, this site is a treasure trove of information. In true Mardi Gras fashion, live it up, for tomorrow we fast.